Don’t you agree patients along with their doctors should have the right to choose their medicine? Thousands of Canadians depend upon biologics to manage their Crohn’s disease and ulcerative colitis. Changes in government funding models could force patients off their current biologic treatment that work for them in favour of lower cost biosimilar that might not work the same. Don`t you agree that patients and their doctors should have the right to pick the medications that work best for them? Tell your local MPP/MLA that you think patients and doctors should have the right to choose medication that works for them. Join thousands of Canadians across the country who are speaking out for patient and doctor rights. Use the form below to send a letter to your local MPP/MLA and Minister of Health. An opposition MLA in Nova Scotia received your letters asking politicians to respect and defend patient treatment choice. He knew he had to take action. He asked the Minister of Health during Question Period what his Government's intentions are regarding switching patients who are stable on a biologic to a biosimilar. 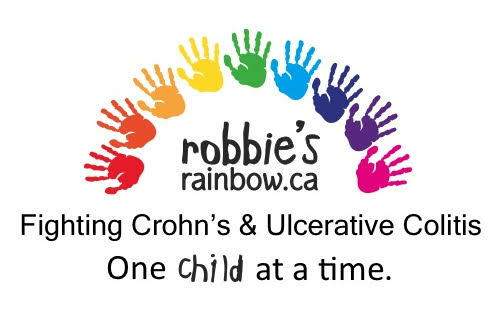 The Minister of Health stood in the legislature and said, unequivocally, that his Government will take a 'No Forced Switch' policy for Nova Scotia with Crohn's and colitis. Thanks to everyone who sent a letter - your voice has made this difference! What are biologics and biosimiliars? Biologics are drugs produced from living organisms. In the context of inflammatory bowel disease (IBD), biologics are designed to target and block the cells responsible for inflammation. As patents expire on innovator biologics, drug manufacturers are developing new drugs based on existing biologics. These new drugs are called biosimilars. Unlike traditional generic drugs, biosimilars are not identical to their innovator biologic. This is due to their complex manufacturing processes. These small variations may cause a biosimilar to work differently than its biologic. To learn more about biosimilars, click here. The introduction of safe and effective treatments for IBD is welcomed and important. This includes lower-cost treatment options like biosimilars, as they represent a potentially effective and cost saving option for the management of IBD that may enhance access to biologic therapies. Doctors and patients in all provinces should have access to biosimilars alongside existing treatment options. The choice of treatment should be between a doctor and the patient. However, provincial governments are considering forcing people currently on certain biologics to switch to lower-cost biosimilars. It can be very challenging for someone with Crohn’s or colitis to finally find a treatment that works for him or her. Sometimes it can take years and multiple rounds of trial and error before landing on the treatment that’s most effective – the one that offers stability and the ability to live well. The stakes are high. Why should someone be forced to possibly risk losing that hard-earned stability? Do you believe that people living with inflammatory bowel disease and their doctors should be able to choose their treatment, and not be forced to switch medication that is currently working for them? If so, please take a moment to voice your opinion to your local government representative. Together, we can ensure policy-makers keep the best interests of people with Crohn’s and colitis in mind as they determine how to cover costs biologic drugs and biosimilars. Tell your local MPP/MLA that you think patients along with their doctors should have the right to choose medication that works for them.